This entry was posted on November 1, 2015 by OBTGAME. Nexon stopped to cooperate with Teen card and GT card until OCT, 31, 2015 that we can't top up with Teen card and GT card. 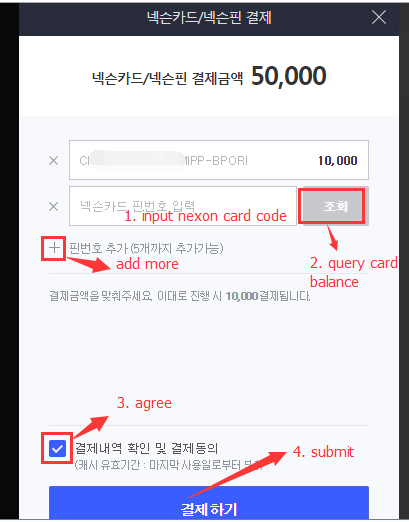 You can follow the tutorial as following to topup cash points for MapleStory2, Tree Of Savior, DOTA2, Elswords, Sudden Attack and other Nexon games with Nexon card, but this tutorial is not applicable for DNF, CYPHERS. If you don't have verified Nexon KR account, you can buy verified Nexon KR account from reliable provider OBTGAME. Anyway, let us show you how to topup Nexon cash points with Nexon card now! Players can choose to topup Nexon cash points by yourself with Nexon card or topup by us. But we do suggest players to topup Nexon cash points by yourselves for security. 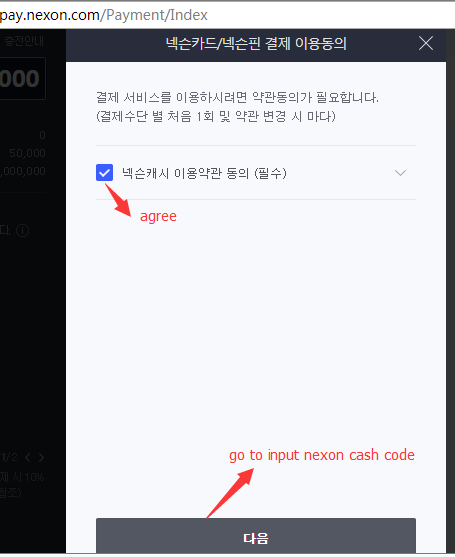 Please double check whether you can topup Nexon cash points for your account, because some Nexon KR account's cash shop be blocked. So before buy Nexon cash points, please double check. Step 1: Login with your Nexon KR account here www.nexon.com/home/game.aspx, if you can't login, please try to connect to Korea VPN and double check the account info you just typed. We are offering Asia VPN package, there are multiple Korean VPN servers in it. Order Korea VPN here. Step 2: After logged in, click the topup button as photo. Step 3: After tapped the topup button, pop up "payment methods choosing" window. 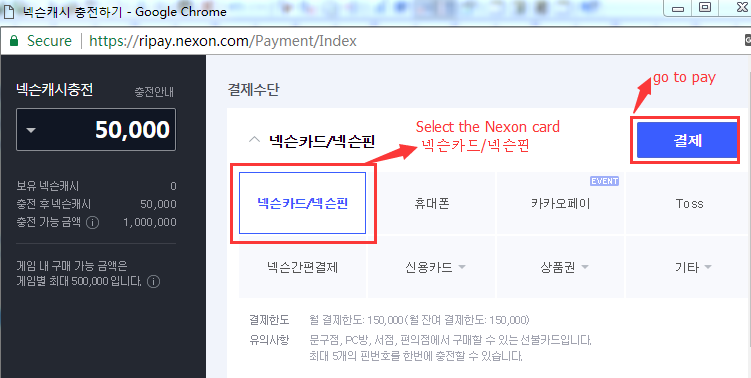 Select the Nexon card 넥슨카드/넥슨핀, then go to pay. Note: Unable to select amount to topup with Nexon card. For example, you bought 30000 cash points, you can only topup 30000 one time, unable to topup 10000 one time and leave amount in the card. Step 4: input nexon card redeem code and apply. Step 5: Once done, you will see the window as photo below.